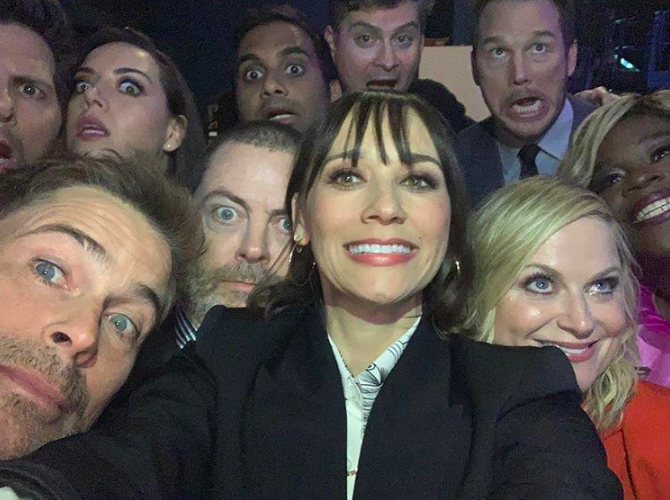 It might seem crazy, but next month 'Parks and Recreation' will mark 10 years since the show first aired. So many of us are thankful for the series blessing our lives with the hit, and just as many people were heartbroken once it came to an end. And ever since then, everyone's been begging for a reunion. Although a new episode hasn't been confirmed (yet), the OG crew reunited for a panel at PaleyFest in LA to celebrate the milestone. 1. The real reason why the first episode was about Leslie and Ann meeting is that the show was actually supposed to solely focus on the friendship between the two. Mike Schur said that the most heartbreaking day on set was when the two BFFs had to say their goodbyes to each other. The fact that Amy Poehler and Rashida Jones are super close IRL is one of the main reasons why it was so hard! 3. The creators of the show put high importance on emotional scenes - they didn’t care about coming across as “uncool.” They made sure these scenes didn’t include any jokes so as not to take away from the seriousness. Apparently, this inspiration came from Mike Schur’s time working on ‘The Office.’ They used the same approach whenever emotional moments were involved. After the show came to end, Mike gave Rob a gift with the notes he took when they decided to meet for the very first time. Hilariously, one of them said, "He says ‘literally’ all the time." 5. The cast did something called "fun runs" while they were filming. Basically, they were given five extra minutes at the end of a scene where they could come up with anything they wanted and improvise. Some of the greatest scenes and most famous lines can be credited to these glorious fun runs. One of the most famous ones being Christ Pratt’s line: "I typed your symptoms into the thing up here and it says you could have network connectivity problems." 6. Another great moment in the show was the scene where everybody got drunk off of Snake Juice - and that was improvised too! There’s one shot in particular that was the most memorable one, and that’s where Ron was dancing in April’s hat. It actually came from a bet that the cast made with each other, to see who could make Amy Poehler laugh. The best part? She was directing that particular episode. 7. 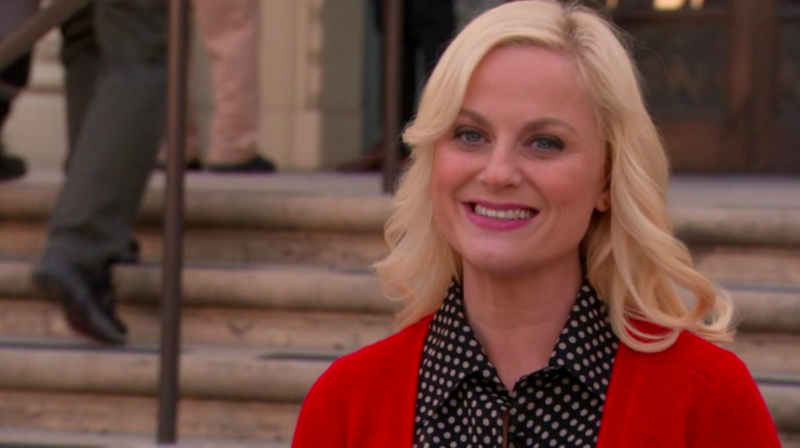 Amy Poehler brought Leslie Knope’s political role into the real word - the actress believes that we could really use someone of the same mindset in our current political climate. And, she even jokingly called her “the Spider-Man of public service." 9. Aubrey Plaza believes that the relationship between April and Andy was so successful because of her own idea. Plaza said that she decided to act as if she was into Andy from the very first day. 10. There was a behind-the-scenes segment filmed for the Parks and Rec DVD involving Chris Pratt. In the scene, he forecasted one of his most legendary Hollywood roles. "I just got a text message from Steven Spielberg. God, it's so annoying" he states in the clip. "Sorry Steven, I was asked by 'Parks and Recreation'/NBC to do behind the scenes, which is to say everyone else was asked and said no. But I have no shame, as you know by the endless gift baskets. I'll have to get back to you later about Jurassic Park 4." 11. 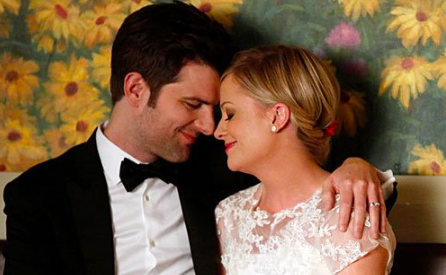 Things sometimes got too real - when shooting Ben’s proposal to Leslie, Amy Poehler and Adam Scott actually got butterflies during the scene. They decided it would be best to stay away from each for the rest of the day too. Adam also stated that he and Amy had a conversation about their character getting married. Apparently, both of them really wanted it to happen during the hiatus. 12. The actors had one thing in common - and its the fact that all of them brought their real-life personality elements into their characters’ personalities. Adam Scott said he only started watching ‘Game of Thrones’ because of Ben, Retta lives by one of their most famous “treat yo’ self” line, and Rob Lowe made a joke about thinking that he's going to live until 150. 13. And the final, good news - none of them denied the possibility of a reunion episode (or maybe even a movie?!). All the cast members have to agree to it, though; if one of them says no, the rest of them are opting out too. This trip through memory lane is bound to make any 'Parks and Rec' fan emotional and feel all the possible feels. And the best part about this panel meeting is that there was no denial about a reunion episode! Now, we're just going to sit with our fingers crossed and hope for an announcement that we're all waiting to hear. What do you guys think - is there a chance for a reunion episode happening? Or is the show done for good? Let us know what you think below! And check out our related articles more interesting developments.